Some time back, we were the first ones to inform you that Sri Thenandal Films would be bankrolling their 100th venture under the direction of Sundar C. This project touted to be the most expensive one in Indian cinema is said to be a trilingual to be made in Tamil, Telugu and Hindi. For this project, AR Rahman has been roped in as the music composer with Sabu Cyril responsible for set designs and Kamalakannan for VFx. We have an exciting information on this. Reliable sources inform behindwoods that Jayam Ravi has been signed on as the hero for this gargantuan project. The selection of heroine is expected to happen in a few days and the project is anticipated to roll from November. Stay tuned and we will update you with an official announcement. This page hosts a weekly slideshow related to Tamil movies. Each slide includes a picture and some description about that picture. All the slides will have a recurring theme. People looking for actress stills, actress images, actor stills, actor images, movie stills, movie images, and other interesting topics, relevant issues in Tamil cinema will find this page useful. BREAKING: GRAND PROJECT GETS A HERO? 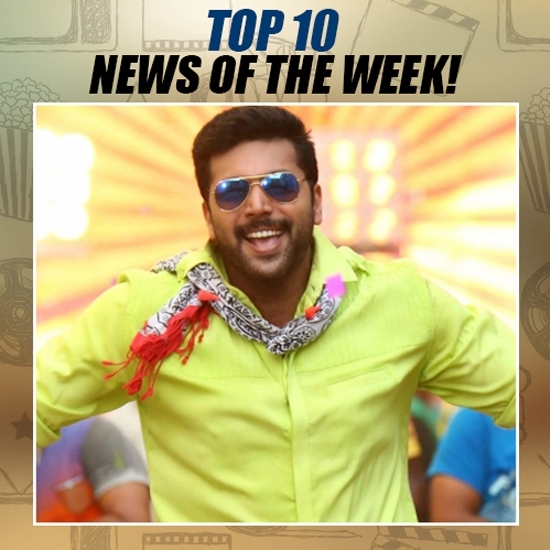 | Top 10 news of the week (August 28 - Sept 3).